It is perhaps not helpful at sentence to use or mix expressions found in these two discrete areas of the law.4 The liability that attaches, although closely related, is not interchangeable. It is discrete. The High Court emphasised in GAS v The Queen5 that the formulation of the liability of secondary participants set out inGiorgianni v The Queen6 of intentional participation in a crime by lending assistance or encouragement7 is central to the sentencing exercise both in terms of assigning culpability and finding facts. 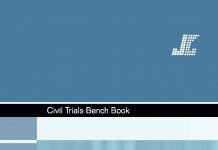 As with other areas of sentencing, there is no golden rule,8 or to use the more modern phrase, bright line rule,9 for assessing the culpability of secondary participants. Sentencing principles, necessarily framed in general terms, are applied to the individual case.10 It has been said that it will often be appropriate that a principal in the first degree should be more severely punished than a secondary participant.11 However, there is not a universal principle that the culpability of an aider and abettor is less than that of a principal offender.12 A manipulative or dominant aider and abettor may be more culpable.13 Glanville Williams (quoted by Stephen J in Johns v The Queen)14 said the master mind and guiding spirit of a crime ring will probably receive a heavier sentence than his tools. The liability of an accessory after the fact is derivative, or dependent on the prosecution proving in the proceedings against the secondary participant the commission of the crime by the principal.32 As Scouler and Button note, strictly speaking, these offenders are not true accessories at all in that they commit a separate, less serious, offence after the commission of the principal offence by another offender.33 A person may be held liable as an accessory after the fact to a crime if he or she, knowing of the facts, and acts amounting to the offence committed by the principal,34 (the knowledge must be of the precise offence),35 receives, relieves, comforts, or assists the principal.36 The assistance must have a tendency to assist the principal to avoid justice.37 In rendering the assistance, one of the accessorys aims must have been to assist the offender to escape detection or punishment.38Section 347 of the Crimes Act provides for the offence of an accessory after the fact to a serious indictable offence39 and s 6 of the Crimes Act (Cth) provides an equivalent for Commonwealth offences. The statutory scheme, so far as it relates to accessories after the fact, produces some anomalies. Section 350 provides that an accessory after the fact to any other serious indictable offence is liable to imprisonment for 5 years, except where otherwise specifically enacted. Four examples of specifically enacted accessory after the fact offence provisions can be found in Part 9. Section 349 provides that an accessory after the fact to murder is liable to a maximum penalty of 25 years. Section 349(2) provides that [e]very accessory after the fact to the crime of robbery with arms or in company with one or more person or persons, or to the crime of kidnapping referred to in section 86, shall be liable to imprisonment for fourteen years. For conceptual clarity, the following discussion will use the common law factual delineations of accessory before the fact, principal in the second degree and accessory after the fact. In a given case it is the interaction of the law creating the primary offence and the law giving rise to secondary liability49 that determines the ingredients of the crime. The first instance decisions are cited as examples of the application of the general principles. The role that each offender plays in an offence of murder or manslaughter is crucial to assessing their respective culpability.50 Where the court cannot determine what role each offender played, each offender will be held to have the same level of culpability.51 In GAS52 for instance, the absence of evidence concerning each of the two offenders participation in a manslaughter offence led to them being assessed as being equally culpable for that offence. If an accessory is the instigator of the offence or the dominant figure in its commission, this will increase his or her culpability. The extent to which each offender participated in the physical acts that caused death will be a factor that will often bear heavily on the assessment of their culpability. Similar principles to those which apply when parties are sentenced as accessories before the fact, or as aiders and abettors of homicide are also applicable when sentencing sexual assault matters. The instigator of, or dominant figure in, a sexual assault offence will have his or her culpability increased on this account. The extent of an offenders physical participation in a sexual assault in company offence, and any violence attending that offence, will be relevant to the assessment of culpability. This follows from the fact that whilst an accessory may, in appropriate circumstances, be held to be as culpable as the principal, it will generally be the case that the principal, as the party who actually performed the acts constituting the offence, will be held to be more culpable than his or her accessory/accessories. The same approach was adopted in Skaf v R103 R v Skaf,04 R v H105 R v Sanoussi.106 In the first mentioned of these cases, the court approved the sentencing judges finding that, as he [Mohammed Skaf] had left the scene before Bilal Skaf arrived, aggravating features of the principal offence, such as the actual and threatened violence to the complainant could not be attributed to him107 and that, as a result, his role in the offence was less than that of Bilal Skaf.108 In each of these four cases, more severe sentences were imposed where the offenders were convicted as principals than for offences for which they were convicted as accessories. As noted above, it was acknowledged in Goundar115 that if one offender stands out as an obvious ringleader, his or her culpability will be increased on this account. If an offender elects to carry out the violence or threat of violence attending the offence, this may be a factor that increases his or her culpability.120 Nevertheless, it will depend on the facts of the case whether accessories who did not participate in any violence or threat of violence attending a robbery will be held to be less culpable than co-offenders who did. very much less than that of her co-offenders.127 Given that the court also found that it was not easy to determine from the evidence just what her [the accessorys] involvement was,128 it is unclear what exactly led to this conclusion. R v Barre, the accessory before the fact to an armed robbery provided the principal with a backpack in which a large machete style knife which the Respondent knew would be used could be concealed.131 These circumstances aggravated the accessorys culpability. detain for advantage or kidnapping offences. Nevertheless, the principles that emerge from the cases that have been decided are similar to those which apply to other offences. Due to the small number of relevant cases, these principles can be discussed together. Where an offender has actually participated in any violence, this will be a factor that increases his or her culpability. In R v Mitchell,143 the court held that the culpability of Mitchells co-offender, Gallagher, was increased as a result of the fact that he was a party to the infliction of injury upon the victim in a real sense and not merely by way of derivative culpability as might be the case had he simply aided and abetted his co-offender.144 Accordingly, in R v Magrin145 the court dismissed a Crown argument that, as Magrins co‑offender, Watson, had carried out a role, which involved active participation such as to be analogous to that of a driver in a getaway car in an armed robbery [there could only be] limited mitigation, in his not having actually participated in the attack.146 It also dismissed the Crowns contention that the sentence imposed on Magrin was manifestly inadequate, as he was a willing and active participant in the plot to bash, despite not participating in any actual violence.147 In other words, the fact that neither respondent had participated in any violence was held to be one factor that reduced their culpability below that of the principal. 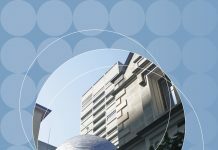 The courts have identified several factors relevant to the assessment of an offenders culpability. In R v Quach, Simpson J found that because the assistance that the offender gave included disposing of the body, the seriousness of the crime was in the upper echelons of the offence against s 349.150 Her Honour said that by this she did not mean that the offence was the most serious of its kind but I do regard it as of considerably more seriousness than, for example, assisting an offender to clean himself or herself after the murder.151 Simpson J cited R v Farroukh152 as an example of the latter type of case.153 However, while assistance in destroying incriminating evidence is viewed less seriously than disposal of the body, in R v Do154 the court made it clear, in the context of a discussion of Farroukh, that this type of assistance will nevertheless increase the objective seriousness of an accessory after the fact of murder offence. would escape the consequences of his conduct. On the other hand, that the offender in R v Gersterling157 desisted in the continuation of his offence at a very early stage was one of the reasons why the court deemed it appropriate to impose a non‑custodial sentence. In R v Do,176 Grove J noted that the offence committed by an accessory after the fact was less grave than that which had been committed in Farroukh, partly because, unlike in that case, the offender did not enable the murderer to escape justice. In a short concurring judgment, Gleeson CJ agreed with this analysis, stating that [i]n view of the reference that has been made to Farroukh [by the Crown], it should also be added that the present is not a case where the conduct of the offender resulted in the escape from punishment of the murderer.177 The fact that in R v Mirad178 the principals evaded justice as a result of the assistance rendered to them by an accessory after the fact was held to have increased the objective seriousness of the accessory after the facts offence. arises from the regular association with criminal elements, his or her culpability will be enhanced on this account. to conceal led Kirby J to find that his crime was more serious than that in R v Quach,181 where the accessory was not present. Moreover, in R v Mirad182 an accessory after the facts culpability was found to have been increased on account of the circumstance that, whereas he was in no way responsible for promoting or facilitating the murder, he realised before the fatal shooting that it was likely that the murderers would use their pistols and have a consequent desire to flee. The facts in proceedings against an accessory after the fact to a manslaughter can often be very similar to those where the charge is accessory after the fact to murder. Accordingly, the factors relevant to an assessment of an offenders culpability are also very similar. 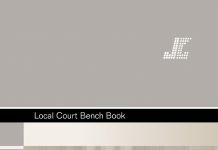 Section 316 replaced the common law offence of misprision of felony,203 which was constituted by an accused, knowing that a felony had been committed by persons known or unknown, unlawfully concealing the commission of that felony.204 An offence against s 316(1) occurs where a person knows that a serious indictable offence has been committed by another; has information that might be of material assistance in securing the apprehension of the offender or the prosecution of the offender, but fails without reasonable excuse to bring that information to the attention of a member of the police force or other appropriate authority. In R v Crofts205 Gleeson CJ and Meagher JA both noted the difficulty in determining the meaning of the words without reasonable excuse. Notwithstanding their Honours criticisms, and the NSW Law Reform Commissions recommendation that the s 316(1) offence be abolished,206 the offence remains. Secondary participants are held criminally liable because of their role in assisting or encouraging the principal offender. The factual findings at sentence about a secondary participants role or what [the secondary participant] actually did in assisting or encouraging the principal offender208 determine the issue of culpability. 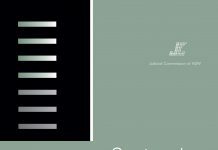 By the courts’ emphasis on the role played by the secondary offender, the approach taken to assess culpability is similar to that taken in joint criminal enterprise and extended common purpose cases. This is so even though for the latter form of liability, the Crown must prove an agreement between offenders or an agreement and acts in contemplation of the agreement. 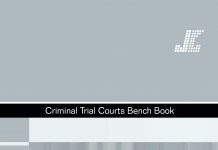 Other considerations, such as parity of sentence,209 prior criminal history, and the secondary participants subjective factors also have an important bearing on the sentence ultimately imposed. 1 The term secondary participant was used by Wilson, Deane and Dawson JJ in Giorgianni v The Queen (1985) 156 CLR 473 at 500 and by Mason J at 492. 2 At the time of publication, a Bill which will insert joint commission provisions into the Criminal Code Act 1995 (Commonwealth) is before the Commonwealth Parliament: Crimes Legislation Amendment (Serious and Organised Crime) Bill (No 2) 2009. 3 Gillard v The Queen (2003) 219 CLR 1 Hayne J at ; Gleeson CJ and Callinan J agreeing at ; Gummow J agreeing at . 4 For exampleR v Wright NSWCCA 3 at , although the respondent had been convicted on the basis of the doctrine of joint enterprise, in assessing culpability, the court quoted GAS v The Queen (2004) 217 CLR 198, a case concerning the liability of principals in the second degree. Likewise, in Goundar v R (2001) 127 A Crim R 331 and R v Breedon (unrep, 3/12/92, NSWCCA), where the offender had been convicted as an aider and abettor, the court at  used language consistent with liability on the basis of joint enterprise. 5 (2004) 217 CLR 198 at . 6 (1985) 156 CLR 473. 7 ibid Wilson, Deane and Dawson JJ at 506 [emphasis added]. 8 R v Geddes (1936) SR (NSW) 554 Jordan CJ at 555 (Bavin J concurring). 9 Ebner v The Official Trustee in Bankruptcy (2000) 205 CLR 337 at . 10 R v Lattouf (unrep, 12/12/1996, NSWCCA). 11 R v Makhoul  NSWCCA 275 at . 12 GAS v The Queen (2004) 217 CLR 198 at . 14 Johns v The Queen (1980) 143 CLR 108 at 117. 15 R v Swan  NSWCCA 47 at . 16 GAS v The Queen (2004) 217 CLR 198 at . 17 R v Anderson  NSWCCA 485 at , citing R v Goundar (2001) 127 A Crim R 331 at . 18 R v Swan  NSWCCA 47 at . 19 Ryan v The Queen (2001) 206 CLR 267 McHugh J at . 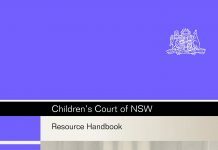 20 There are several New South Wales secondary sources which collect the relevant authorities and set out in clear terms the basis of secondary participants liability. R Howie and P Johnson, Criminal Practice and Procedure New South Wales Looseleaf Service, Butterworths, Sydney, 1998 at [6-005] and [6100]; R Watson, GS Hosking and AM Blackmore, Criminal Law (NSW) Looseleaf Service, LBC Information Services, NSW, 1996 at [2.32790] and [2.32970]; R Button and C Scouler, Guide to accessorial liability in New South Wales, (2001) 8 (7) Criminal Law News 62; J Wheeler and P Zahra, Principles of Complicity, paper presented at Public Defenders Annual Criminal Law Conference, 34 March 2007, at www.lawlink.nsw.gov.au/lawlink/pdo/ll_pdo.nsf/pages/PDO_principlescomplicity, accessed 10 November 2009. 21 Giorgianni v The Queen (1985) 156 CLR 473 at 506. In GAS v The Queen (2004) 217 CLR 198 at  the High Court emphasised with italics “… intentional participation in a crime by lending assistance or encouragement”. 23 Osland v The Queen (1998) 197 CLR 316 Gaudron and Gummow JJ at ; McHugh J at ; Giorgianni v The Queen (1985) 156 CLR 473 Mason J at 491; see also R Howie and P Johnson, Criminal Practice and Procedure New South Wales Looseleaf Service, Butterworths, Sydney, 1998 at [6005] and [6100]. An exception to this is where an accessory before the fact is charged as a principal, pursuant to s 346 of the Crimes Act 1900 (NSW): King v The Queen(1986) 161 CLR 423 Dawson J (Gibbs CJ, Wilson and Brennan JJ agreeing; Murphy, Mason and Deane JJ dissenting on other grounds). 24 R v Stokes (1990) 51 A Crim R 25 Hunt J at 38; Wood and McInerney JJ agreeing at 45. 25 Giorgianni v The Queen (1985) 156 CLR 473 Wilson, Deane and Dawson JJ at 500; Gibbs CJ at 480; Mason J at 493; Gillard v The Queen (2003) 219 CLR 1 Hayne J at ; Gleeson CJ and Callinan J agreeing at ; Gummow J agreeing at . 26 Gillard v The Queen (2003) 219 CLR 1 Hayne J at ; Gleeson CJ and Callinan J agreeing at ; Gummow J agreeing at . 27 Giorgianni v The Queen (1985) 156 CLR 473 at 493. 29 R v Russell  VLR 59 Cussen ACJ at 67. 30 R v Russell  VLR 59 per Cussen ACJ at 67 quoted by Mason J in Giorgianni v The Queen (1985) 156 CLR 473 at 493. 31 Giorgianni v The Queen (1985) 156 CLR 473 at 493. 32 This follows from the fact that, to be liable, an accessory after the fact must know of the precise offence committed by the principal: R v Tevendale  VR 95;R v White (1977) 16 SASR 571 at 580; R v Stone VR 737 at 740. In Chanthaboury v R (2007) 176 A Crim R 438, Barr J at  suggests that the proper way of framing the charge against an accessory after the fact is first to aver that the principal offender committed the principal offence, saying concisely what the offence was, and that, in knowledge of the fact, the accused afterwards received, etcetera, the principal offender. 33 R Button and C Scouler, Guide to accessorial liability in New South Wales, (2001) 8 (7)Criminal Law News 62. 34 R v Stone  VR 737 at 740. 35 R v Tevendale  VR 95; R v White(1977) 16 SASR 571 at 580; R v Stone  VR 737 at 740. 36 R v White (1977) 16 SASR 571 at 580. 37 R v Stone  VR 737. 38 R v Young and Phipps (unrep, 31/10/1995, NSWCCA) Gleeson CJ; Badgery-Parker and Abadee JJ agreeing. 39 A serious indictable offence is defined in s 4 of the Crimes Act as an offence with a maximum penalty of at least five years imprisonment. 40 King v The Queen (1986) 161 CLR 423 Dawson J at 434 (Gibbs CJ, Wilson and Brennan JJ agreeing; Murphy, Mason and Deane JJ dissenting on other grounds). 41 (2004) 142 A Crim R 140 at  quoted at p 1314 overleaf; see also R v Abdulrahman (2007) 171 A Crim R 419. In that case, Studdert J at  noted that, in his opinion, the maximum penalty pays insufficient regard to the gravity of accessorial involvement in the taking of a human life. 42 Crimes Act 1900 s 348. 43 The Hon Bob Debus MP, letter to NSW Sentencing Council, 18 June 2003 cited in NSW Sentencing Council, Whether Attempt And Accessorial Offences Should Be Included in the Standard Non-Parole Period Sentencing Scheme, 2004, p 11, at www.lawlink.nsw.gov.au/lawlink/scouncil/ll_scouncil.nsf/vwFiles/Attempt%20Report%20(online%20version) .pdf/$file/Attempt%20Report%20(online%20version).pdf, accessed 17 November 2009. 44 ibid at p 36. 46 (2007) 174 A Crim R 100. 49 Maroney v The Queen (2003) 216 CLR 31 Kirby J at . 50 Lowe v The Queen (1984) 154 CLR 606 Gibbs CJ at 609. 51 GAS v The Queen (2004) 217 CLR 198 at . 53 GAS v The Queen (2004) 217 CLR 198 at ; Johns (TS) v The Queen (1980) 143 CLR 108 Stephen J at 117. 54  NSWSC 142 Hidden J at . 56 R v Norman  NSWSC 142 Hidden J at . 57 R v Williams  VSC 131 at . 59 R v Makhoul  NSWCCA 275 at . 60  NSWCCA 292 at . 63 R v Jeffrey  NSWSC 202 at . 66  NSWSC 142 at . 73 (2000) 115 A Crim R 465. 74 ibid Hulme J at . 75 Stein JA and Greg James J at ; Hulme J agreeing in separate reasons at . 76  NSWSC 367 at . 77  NSWSC 703 at . 79 See R v Norman  NSWSC 142 Hidden J at ; R v Williams  VSC 131 King J at ; R v Williams  VSC 367 King J at . 80  NSWSC 142 Hidden J at . 82 ibid Grove J at . 83  NSWCCA 209 at . 85  NSWCCA 172 at . 86 (2004) 217 CLR 198 at . 100 (2008) 180 A Crim R 440. 101  NSWCCA 4 at . 104  NSWCCA 297 at . 106  NSWCCA 323 at . 107  NSWCCA 303 at . 109 R v Goundar (2001) 127 A Crim R 331 at . 110 See, for example, R v Anderson  NSWCCA 485 at . 111 (unrep, 3/12/1992, NSWCCA) Carruthers J; Hunt CJ at CL and Grove J agreeing. 112 (unrep, 3/12/1992, NSWCCA) Carruthers J; Hunt CJ at CL and Grove J agreeing. 116  NSWCCA 413 at . 117  NSWCCA 432 at , . 118  NSWCCA 92 at . 119 R v Makhou  NSWCCA 275 at ; R v Swan NSWCCA 47 at  citing GAS v The Queen (2004) 217 CLR 198 at ; R v Styman  NSWCCA 129 at . 120 R v Goundar (2001) 127 A Crim R 331 at . 122 (2001) 127 A Crim R 331 at . 126  NSWCCA 485 at . 129 R v Syed  NSWCCA 37 Hulme J at  McClellan CJ at CL and Harrison J agreeing. 131  NSWCCA 432 at . 133 R v Goundar (2001) 127 A Crim R 331 at . 142  NSWCCA 121 at . 143 (2007) 177 A Crim R 94. 149 (unrep, 29/3/1996, NSWCCA) Levine and Dowd JJ agreeing. 151  NSWSC 1205 at . 153 See R v Quach  NSWSC 1205 at . 154 (unrep, 7/5/1997, NSWCCA) Grove J (Gleeson CJ and Sperling J agreeing). 156  NSWSC 893 at . 157  NSWSC 502 Adams J at . 160  NSWSC 1517 at . 161  NSWSC 701 at . 163 Crimes Act 1900 (NSW), s 347A. 164 (2002) 132 A Crim R 408 Hidden J at  (Adams J agreeing). 165  NSWSC 502 at . 167 See also R v RAF  NSWSC 615 at , where a very young offender had assisted her older boyfriend by obtaining some material assistance from her uncle and giving him the support and encouragement of a continuing relationship. 168 R v Bassett (unrep, 2/11/1994, NSWCCA); see also R v Phan (2001) 126 A Crim R 257 Greg James J at . 170  NSWSC 323 Kirby J at . 171  NSWSC 944 at . 172  NSWSC 1517 at . 173  NSWSC 944 at . 174 (1994) 74 A Crim R 312 at 316. 175  NSWSC 944 at . 176 (unrep, 7/5/1997, NSWCCA) Gleeson CJ and Sperling J agreeing. 178  NSWSC 701 at . 179 (unrep, 7/5/1997, NSWCCA) Sperling J agreeing. 180  NSWSC 323 at . 182  NSWSC 701 at . 184 (1994) 74 A Crim R 312. 185 (1986) 27 A Crim R 32. 186 (1991) 55 A Crim R 201. 187  NSWSC 944 at . 188  NSWSC 1517 at . 189 Crimes Act 1900 (NSW), s 350. 190 (2004) 142 A Crim R 140. 191 (2004) 142 A Crim R 140 at ; See also R v Abdulrahman (2007) 171 A Crim R 419. In that case, Studdert J at  noted that, in his opinion, the maximum penalty pays insufficient regard to the gravity of accessorial involvement in the taking of a human life. 192 R v Jones  NSWSC 1333 at . 193 See, for instance, R v Jones  NSWSC 1333 at ; R v Walsh(2004) 142 A Crim R 140 at  and R v Huntington  NSWSC 1314 at . 194 R v Jones  NSWSC 1333 at . 195 See for example the statement in R v Kari  NSWSC 993 at . A full time custodial sentence was imposed. R v Jones NSWSC 1333 at  and . 196 R v Hamilton  NSWSC 452 at ; R v Walsh (2004) 142 A Crim R 140 at . 197 R v Huntington  NSWSC 1314 at ; ; see also R v Walsh (2004) 142 A Crim R 140 at . 198 R v Jones  NSWSC 1333 at ; R v Winston (1994) 74 A Crim R 312 at 316. 199 As noted above, serious indictable offence is defined in s 4 of the Crimes Act 1900 as an indictable offence with a maximum penalty of at least five years imprisonment. 200 Second Reading Speech, Crimes (Public Justice) Amendment Bill 1990, NSW, Legislative Council, Debates, 17 May 1990 at p 3692. 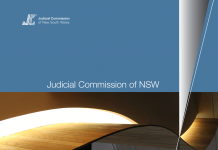 201 New South Wales Law Reform Commission, Review of Section 316 of the Crimes Act 1900 (NSW) NSWLRC Report 93, 1999 at [3.20]. 202 R Howie and P Johnson, Criminal Practice and Procedure New South Wales Looseleaf Service, Butterworths, Sydney, 1998 at [6105]. 203 The common law offence was abolished by s 341, Crimes Act 1900 (NSW). 204 R v Lovegrove and Kennedy (1983) 9 A Crim R 226 per Cox J at 227230. 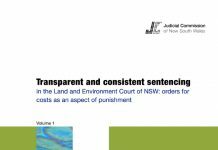 206 New South Wales Law Reform Commission, Review of Section 316 of the Crimes Act 1900 (NSW), NSWLRC Report 93, 1999. 207  NSWSC 290 at . 208 R v Swan  NSWCCA 47 at .